Grease is the word and chucks are the cool shoes at Rydell High. Films on this page: Gacy, Garage Days, The Garbage Pail Kids Movie, Garden State, Geek Charming, Getting Even, Getting to Know You, Ghost Graduation, Ghost in the Machine, Ghost Squad, Ghostbusters, Ghoulies II, Giant Little Ones, The Girl, The Girl Next Door, Glasskår, Gleaming the Cube, Glory Road, God’s Not Dead, Godsend, Going to the Mat, Gooby, The Goonies, Goosebumps, Goosebumps 2, Graduation, Gran Torino, Grandmother’s House, Grease, Grease 2, The Great Gilly Hopkins, The Great Santini, Grow Up, Tony Phillips, Gulliver’s Travels. Gacy. (2003) Mark Holton, Charlie Weber, Glenn Morshower, Tom Waldman, Allison Lange, Joleen Lutz, Kenny Schwartz, Jeremy Lelliott, Joseph Sikora, Joe Roncetti, Matt Farnsworth, Adam Baldwin, Eddie Adams, Scott Allen Henry, Larry Hankin, Rick Dean. Directed by Clive Saunders. Based on the story of serial killer John Wayne Gacy, a man who killed and buried 30 men and boys in the crawl space below his house. Garage Days. (2002) Kick Gurry, Maya Stange, Pia Miranda, Brett Stiller, Chris Sadrinna, Andy Anderson, Marton Csokas. Written and directed by Alex Provas. The story of a garage band in Sydney, Australia trying to make it big and dealing with how they handle the temptations of drugs and a romantic triangle that develops within the band. The Garbage Pail Kids Movie. (1987) Mackenzie Astin, Anthony Newley, Katie Barberi, Ron MacLachlan, J. P. Amateau, Marjory Graue. All the stuntmen wearing the Garbage Pail Kids suits: Phil Fondacaro, Debbie Lee Carrinton, Kevin Thompson, Robert Bell, Larry Green, Arturo Gil, Susan Rossitto. Directed by Rodney Amateau. Characters from the popular kids trading card series live in the cellar of a magic store owner. When some older teenagers trying to make it in the fashion business discover that the garbage pail kids can make interesting clothing designs, they conspire to exploit them and the store owner’s twelve year old assistant. Garden State. (2004) Zach Braff, Ian Hom, Natalie Portman, Peter Sarsgaard, Ron Liebman, Method Man, Jean Smart. Directed by Zach Braff. A young man returns home for his mother’s funeral after being estranged from his family for a decade. Geek Charming. (2011) Sarah Hyland, Matt Prokop, Sasha Pieterse, Jordan Nichols. Directed by Jeffrey Hornaday. A stuck up popular girl agrees to be the subject of a documentary by a somewhat geeky guy with a lot of personality. As they get to know each other they both discover their real personas. Getting Even. (2009) Sean Durrie, Thomas Simpson, Margie Tompros, Adam Chambers, Jess Swenson. Screenplay by Patrice Hamilton. Michael, a teenager with a high libido and estranged from his strait-laced father, decides to fake his own kidnapping to get even after he is grounded. As is typical with this type of story, there is a doublecross resulting in Michael becoming an actual kidnap victim and in the process also getting his best friend Eric kidnapped. This film was independently made and is not in general release or even listed on IMDb, but you can view the entire film minus beginning and ending credits on YouTube. Getting to Know You. (1999) Heather Matarazzo, Zach Braff, Michael Weston, Bebe Neuwirth, Mark Blum, Bo Hopkins. Written and directed by Lisanne Skyler. Judith, a shy teenaged girl about to enter a foster home and her older brother who is going off to college are stuck waiting at a bus station for five hours. They end up examining their loyalty to each other, their family troubles, and their true feelings about what is important in life after she meets street-smart Jimmy, who passes the time by telling her the life stories of various people they see in the waiting room. Based on several short stories by Joyce Carol Oates. Ghost Graduation. aka Promoción fantasma (2012) Raul Arevalo, Alexandra Jimenez, Javier Bodalo, Alex Maruny, JAnna Castillo, Andrea Duro, Aura Garrido. Directed by Javier Luis Caldera. 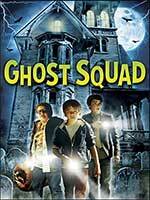 A teacher with paranormal abilities helps a group of ghosts graduate high school. In Spanish with English subtitles. Categories: Drama, Comedy, Teenagers, Fantasy. Ghost in the Machine. (1993) Karen Allen, Chris Mulkey, Ted Marcoux, Wil Horneff, Jessica Walter, Brandon Adams. Directed by Rachel Talalay. A serial killer dies, but his soul pentrates the electrical circuitry of a computer network. When the killer targets Terry Munroe and her teenage son, Josh, their only choice for survival is with the help of a computer hacker. Ghost Squad. (2015) Will Spencer, Cade Sutton, Phillip Wampler, Kevin Nealon, Jennifer Grant, Madison Iseman, Nick Fink. Directed by Joel Souza. Charlie, Alex, and Nick are three nerdy kids who formed the Elite Monster Unit to track ghosts, monsters, and other phenomenon. Trying to impress Brandy, the sister of Jake, one of the bullies that regularly picks on the three, Charlie accepts a challenge to spend the night in an abandoned house that is supposed to be haunted. Ghostbusters. (2016) Melissa McCarthy, Kristen Wiig, Kate McKinnon, Chris Hemsworth, Leslie Jones. Directed by Paul Feig. Following a ghost invasion of Manhattan, paranormal enthusiasts Erin Gilbert and Abby Yates, nuclear engineer Jillian Holtzmann, and subway worker Patty Tolan band together to stop the otherworldly threat. Categories: Comedy, Action/Adventure, Science Fiction/Fantasy. Ghoulies II. (1987) Damon Martin, Royal Dano, J. Downing, William Butler, Phil Fondacaro, Kerry Remsen. Directed by Albert Band. The ghoulies come to a struggling carnival company, where they help boost business, but then start killing the customers. Giant Little Ones. (2018) Josh Wiggins, Maria Bello, Taylor Hickson, Kyle MacLachlan, Peter Outerbridge, Darren Mann, Kiana Mediera, Niamh Wilson, Carson MacCormac. Written and directed by Keith Behrman. Franky and Ballas, best friends since childhood, have their lives, families, and girlfriends dramatically upended after an unexpected homosexual incident occurs on the night of Franky’s 17th birthday party. The Girl. (2016) Michael Biehn, Tia Carrere, Evie Thompson, Tristan DeVan. Directed by Jennifer Blanc-Biehn. A serial killer brings his latest victim to a shed near his home, but his young son discovers the kidnapped girl and tries to help her. Categories: Crime, Horror, Science Fiction. The Girl Next Door. (2007) Blanche Baker, Daniel Manche, Blythe Auffarth, Grant Show, Michael Zegan, Graham Patrick Martin, Benjamin Ross Kaplan, Austin Williams, Dean Faulkenberry, William Atherton. Directed by Gregory M. Wilson. Set in the summer of 1958 and based on the Jack Ketchum novel of the same name, this film follows the unspeakable torture and abuses committed on a teenage girl in the care of her deranged aunt and the kids, her sons and neighbors, who witness and fail to report the crime, until finally one boy risks his life to help her. Glasskår, aka Scars. (2002) Eirik Evjen, Jonas Lauritzsen, Martin J R Eidissen, Eirik Stigar, Kristine Skolt Gjertsen, Joachim Rafaelsen, Janne Kokkin, Lasse Kolsrud, Madeleine Johansen, Robert Skjaerstad, Iben M Akerlie, Bjarte Hjelmeland. Written and directed by Lars Berg. Viktor Hansen, a perceptive thirteen-year-old, knows something’s up in his family. His parents are not talking to him, while his older brother OK tells him secrets he finds hard to believe. In the meantime Viktor is going through the normal rites of adolescence with his buddies Arnor and Roger. Filmed in Norwegian with English subtitles. Gleaming the Cube. (1989) Christian Slater, Steven Bauer, Min Luong, Ed Lauter, Micole Mercurio, Richard Herd, Charles Cyphers, Max Perlich, Tony Hawk, Tommy Guerrrero, Christian Jacobs. Directed by Graeme Clifford. Christian Slater plays a skateboarder whose life is radically changed when his stepbrother is mysteriously killed, and he is determined to find out why. Categories: Drama, Crime and Mystery, Teenagers. Glory Road. (2006) Josh Lucas, Dumaine Radcliff, James Olivard, Derek Luke, Austin Nichols, Kip Weeks, Al Shearer, Samuel Garland, Mitch Eakins, Alphonso McAuley, John Voight. Directed by James Gartner. In 1966, Texas Western coach Don Haskins led the first all-black starting line-up for a college basketball team to the NCAA national championship. This is a film about winning and race relations in the 1960s. God’s Not Dead. (2014) Kevin Sorbo, Shane Harper, David A. R. White, Dean Cain. Directed by Harold Cronk. College philosophy professor Mr. Radisson’s curriculum is challenged by his new student, Josh, who believes God exists. Godsend. (2004) Greg Kinnear, Rebecca Romijn, Robert De Niro, Cameron Bright. Directed by Nick Hamm. A couple agree to have their deceased eight year old son cloned, under the supervision of an enigmatic doctor but bizarre things start to happen when the cloned son reaches age eight. Going to the Mat (2004) Andrew Lawrence, Khleo Thomas, Allesandra Torresani, Wayne Brady, D. B. Sweeney. Directed by Stuart Gillard. Jace is the new kid at school, and he’s also blind. Thinking that his talent on the drums is his ticket to be accepted, he shows off in music class, only to find out the teacher is also blind. He soon finds out that to be accepted you have to be a jock, so he joins the wrestling team. Gooby. (2009) Robbie Coltrane (voice) Eugene Levy, Matthew Knight, David James Elliott, Ingrid Kavelaars. Written and directed by Wilson Coneybeare. Eleven-year-old Willy is terrified of moving into a new big house and making new friends. Luckily Willy’s childhood toy, Gooby, a stuffed bear comes to life to help him out. The Goonies. (1985) Sean Astin, Josh Brolin, Jeff Cohen, Corey Feldman, Keri Green, Martha Plimpton, Jonathan Ke Quan, John Matuszak, Robert Davi, Joe Pantoliani, Anne Ramsey. Directed by Richard Donner. Five kids living in an Oregon coastal town search for buried treasure while being pursued by bumbling but ruthless crooks. Goosebumps. (2015) Jack Black, Dylan Minette, Odeya Rush, Ryan Lee, Amy Ryan, Jillian Bell, John Bernecker. Directed by Rob Letterman. A teenager teams up with the daughter of young adult horror author R. L. Stine to save the day after the writer’s imaginary demons are set free on the town of Madison, Delaware. Goosebumps 2. (2018) Wendi McLendon-Covey, Madison Iseman, Jeremy Ray Taylor, Caleel Harris, Ken Jeong, Chris Parnell, Bryce Cass. Directed by Ari Sandel. Two young friends find a magic book that brings a ventriloquist’s dummy to life. Graduation. (2007) Shannon Lucio, Riley Smith, Chris Marquette, Chris Lowell, Huey Lewis, Adam Arkin. Written and directed by Michael Mayer. Four best friends plot to rob a bank during their high school graduation ceremony in order to help out one of the teenager’s sick mother. Gran Torino. (2009) Clint Eastwood, Christopher Carley, Bee Vang, Ahney Her, Brian Haley, Geraldine Hughes, Dreama Walker, Brian Howe, John Carroll Lynch, William Hill, Brooke Chia Thao, Chee Thao, Choua Kue, Scott Eastwood, Xia Soua Chang. Directed by Clint Eastwood. Clint Eastwood delivers one of his career best performances as Walt Kowalsky, an embittered old man estranged from his family and church, mourning the loss of his wife and in failing health. When Thao, a teenaged neighbor, is forced by a gang to try to and steal his prized 1972 Gran Torino, Kowalsky ends up reforming the teen and helping his Hmung neighbors rid the neighborhood of the gang. Grandmother’s House. (1988) Eric Foster, Kim Valentine, Len Lesser, Ida Lee, Brinke Stevens, Michael Robinson. Directed by Peter Rader. When their father dies, Lynn and her younger brother David have to move in with their grandparents. One morning a dead man is found near their new home. A friend tells David, that it’s not the first. Shortly after he sees his grandparents carry a body into the garage — are they the murderers? Categories: Crime and Mystery, Action/Adventure. Grease. (1978) John Travolta, Olivia Newton John, Stockard Channing, Jeff Conaway, Barry Pearl, Michael Tucci, Kelly Ward, Eve Arden, Sid Caesar, Frankie Avalon, Didi Conn, Joan Blondell. Directed by Randal Kleiser. This Hollywood remake of the popular Broadway musical features fifties rock and roll music augmented by music from the BeeGees, a strong cast headed by John Travolta, lots of cameo performances to be appreciated by baby boomers, and of course lots of black high top chucks. Grease 2. (1982) Maxwell Caulfield, Michelle Pfeiffer, Lorna Luft, Mareen Teefy, Alison Price, Pamela Segall, Adrian Zmed, Peter Frechett, Didi Conn, Eve Arden, Sid Caesar, Dody Goodman. Directed by Patricia Birch. This sequel to Grease falls flat because it is missing a lot of necessary elements: most of the orginal cast, a good musical score, and interesting story. The Great Gilly Hopkins. (2015) Sophie Nélisse, Kathy Bates, Glenn Close, Octavia Spencer, Zachary Hernandez, Billy Magnussen, Clare Foley, Bill Cobb. Directed by Stephen Herek. Twelve-year-old Gilly Hopkins finds herself shuttled from one foster home to another partly due to her bad attitude toward others and partly due to her desire to be reunited with her birth mother who put her into foster care. When her scheming backfires, Gilly learns some important lessons about life. Categories: Coming of Age, Family, Drama. The Great Santini. (1979) Robert Duvall, Blythe Danner, Michael O’Keefe, Lisa Jane Persky, Julie Anne Haddock, Brian Andrews, Stan Shaw. Written and directed by Lewis John Carlino. Lt. Col. Bull Meechum, the self-described "Great Santini," is a martinet and highly skilled Marine pilot who tries to run his family like a military unit, often treating his children in an abusive and unreasonable manner. He has a special love-hate relationship with his eldest son, Ben, who he wants to follow in his extremely competitive footsteps but doesn’t understand that Ben has a mind of his own and wants to make his own decisions about life. Grow Up, Tony Phillips. (2013) Tony Vespe, Arthur Dale, AJ Bowen, Byron Brown, Devin Bonnée, Katie Folger, Seth Lee. Written and directed by Emily Hagins. A comedy about Tony Phillips, a guy who doesn’t think childhood passions should have an expiration date. Gulliver’s Travels. (2010) Jack Black, Jason Segal, Emily Blunt, Amanda Peet, Billy Connolly, Chris O’Dowd, T.J. Miller. Directed by Rob Letterman. In this modern remake of the classic Jonathan Swift story, Lemuel Gulliver is a mail room flunkie who wangles a travel assignment to the Bermuda Triangle and ends up a giant in the Lilliput kingdom. Categories: Comedy, Adventure, Fantasy, Family.